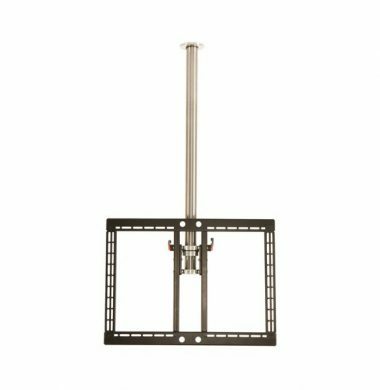 The Future Automation Ceiling Mount TV bracket is a beautifully elegant way to mount your TV from the ceiling, ideal for kitchens and bedrooms where space is at a premium. The pole is bespoke cut to order ensuring every system fits perfectly, from beautifully machined stainless steel. The mount includes both tilt and swivel functionality (motorised option available). 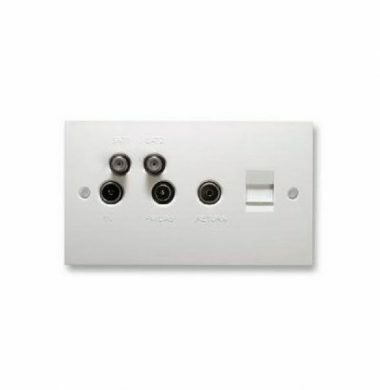 The Quadplex Return & Phone plate is the key part of the distribution system providing all the critical outlets for the main TV/VCR/DVD/Digibox location, including a quadplex downlink for two LNB feeds (F-type) to the main digibox location from the Sky dish, co-ax for UHF signal to the VCR or TV, and an FM/DAB outlet for radio. It also has co-ax for the uplink to the multi-room distribution amplifier and a telephone point for connecting to the digibox for pay movies. For Sky digital you will use just one of these downlinks, for Sky HD and Sky Plus you will use both LNB feeds. 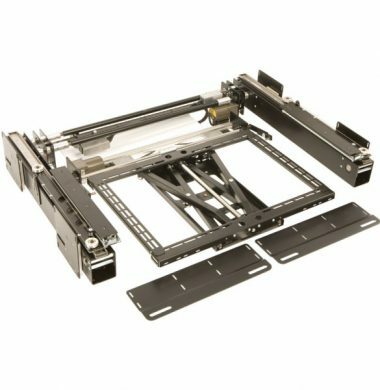 The Techniq TEC-PM-JVX00-WH slim-line ceiling projector mount has been purpose made for the JVC DLA-X500, 700 & 900 series projectors. It also fits the JVC DLA-X35, DLA-X55, DLA-X75R and DLA-95R 3D projectors and the now discontinued DLA-X3, DLA-X30, DLA-X7, and DLA-X70 as well as the commercial equivalents to these, ie the JVC DLA-RS40 and DLA-RS50). 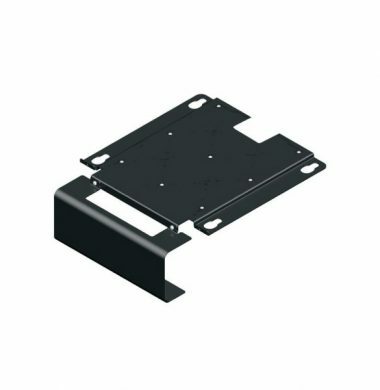 The Techniq TEC PM-JVX00-BK slim-line ceiling projector mount has been purpose made for the, JVC DLA-X500, 700 & 900 series projectors. The CyberSelect CS-3765CB is a cantilever wall bracket featuring great freedom of movement: both tilting, and left/right swivel, strong and reliable with a maximum load of 75Kg. 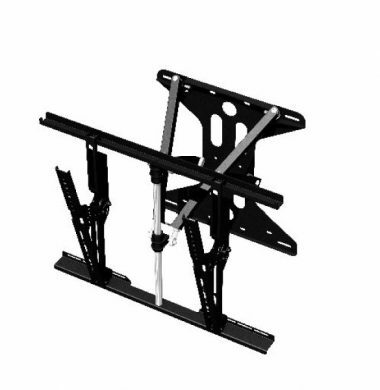 This TV bracket is finished in black and has a maximum reach of 475mm and 120° Swivel left or right. 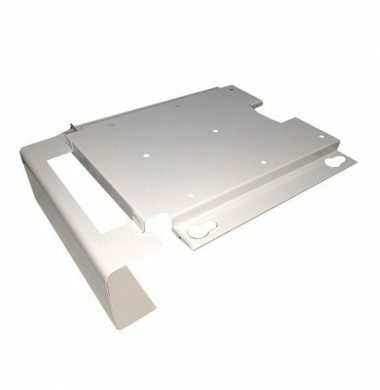 The CyberSelect Cantilver Bracket is compatible with VESA 200, 300, 400, 600×400, 800×400.